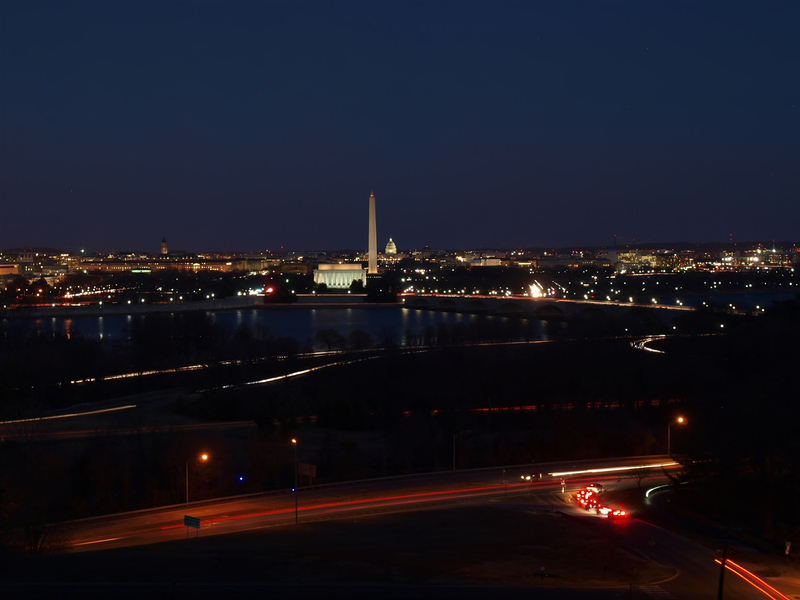 After a spectacular winter wonderland this morning, another clipper will pass well north of the DC Area Tuesday morning possibly touching off a few snow showers across extreme Northern Virginia, and those of you in central and northern Maryland. 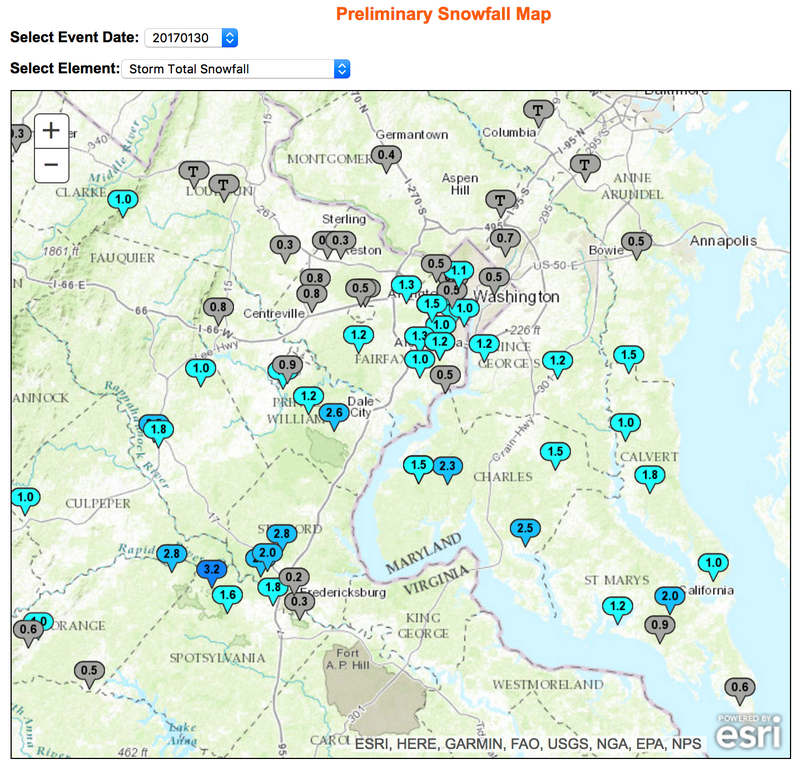 I am pleased that the radar filled in nicely last night and a swath of 2 to 3 inches fell from Fredericksburg to Charles county Maryland. Below are the preliminary snowfall reports from across our Region. The latest HRRR (High Resolution Rapid Refresh) model shows where a few snow showers may fall between 2AM and 7AM. A dusting of snow is possible mainly along and northwest of a line from Leesburg to Baltimore-Washington-International Airport. Now we shift focus to the upcoming weekend with the potential for some form of wintry precipitation Sunday into the day on Monday. The models are not showing consistency this far out (no surprise here) and until the disturbances in the upper atmosphere actually hit the continental United States later this week, uncertainty will likely continue through Friday. To make the case, let’s look at the latest GFS (Global Forecast System) and Canadian “trend models”. 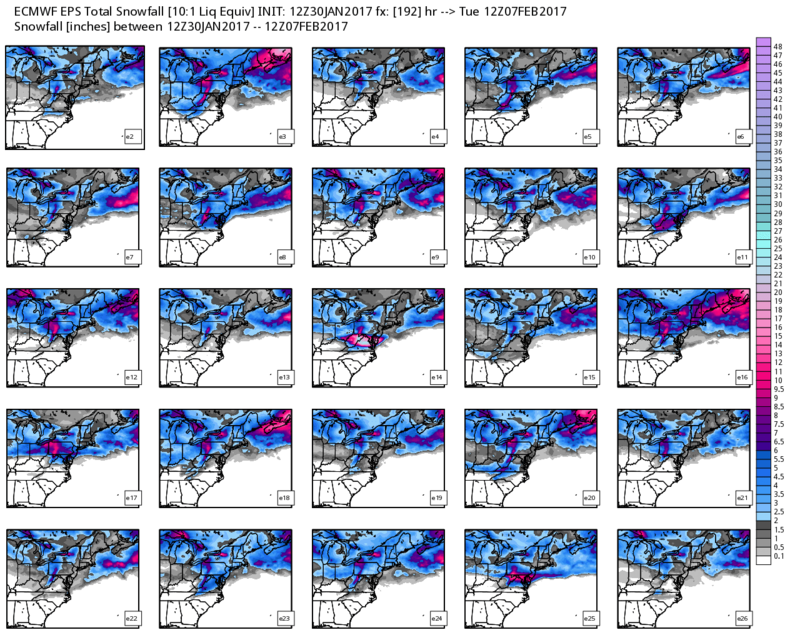 These models show you the past ten runs for the same time frame in the future (Sunday evening) and make the point that there hasn’t been consistency among the various models on how this system will ultimately evolve. The JMA shows a storm sitting off our coast on Monday morning but if this solution were to pan out, it would be too far east to impact the DC Area. What I do like is the large amount of blocking (bright orange colors) sitting over Maine and eastern Canada. 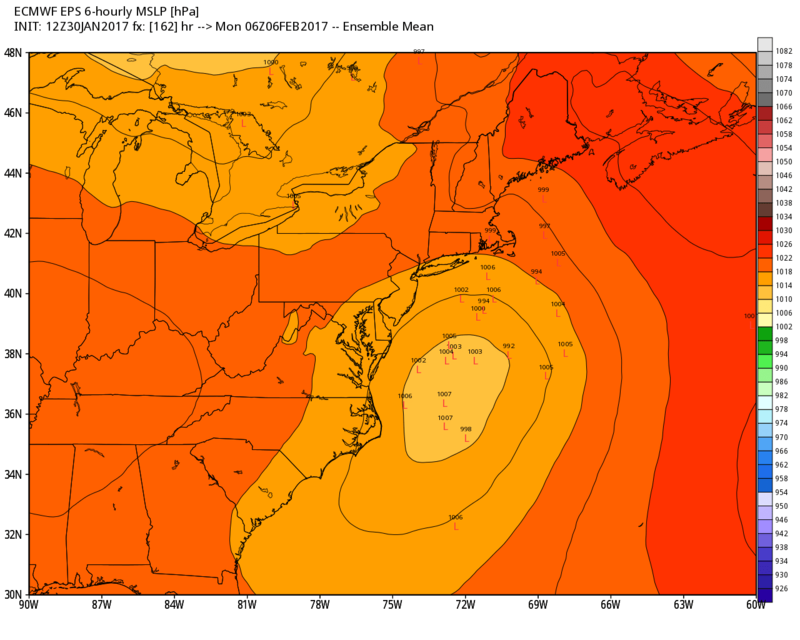 The latest European Ensemble also shows a coastal storm forming off of the Del-Mar-Va coastline late Sunday evening with the blocking high sitting a bit further to the east than the JMA (we really want this high pressure system to sit anchored firmly over northern New England for an ideal storm track). If the storm that forms over the Tennessee valley remains the primary system and can track just far enough north we could see several inches of snow before possibly heads out to sea. A second idea is that the system could remain suppressed too far to our south (delivering snow to Richmond and southwestern Virginia) before passing well east of here (the dreaded DC “snow-hole” scenario). 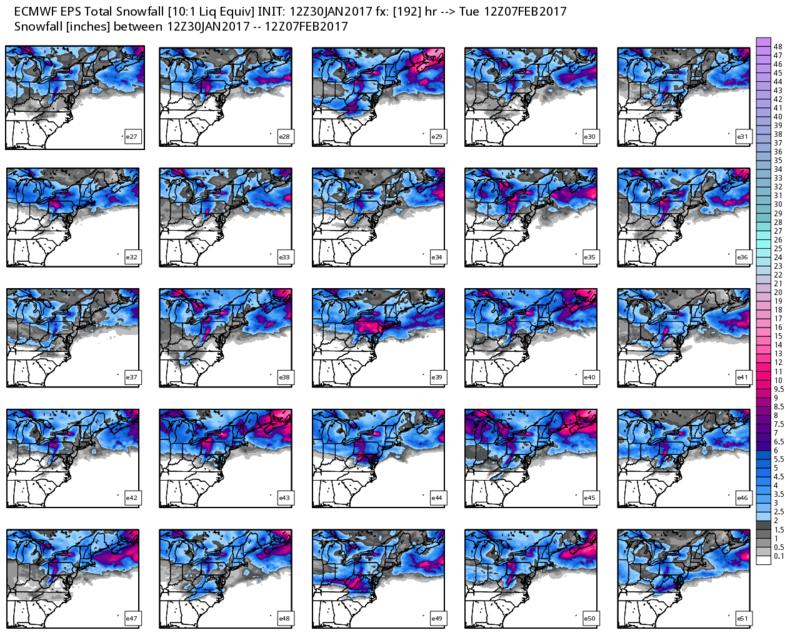 Several of the European ensembles do show a significant snowfall across the DC Area, so we will have to be patient and wait for consistency in the days ahead. Agree! Plus the telleconnections are not in our favor until mid-February. I thought it was going to be an easy forecast, a nicely phased in trough, plenty of cold air in place and several inches of snow. 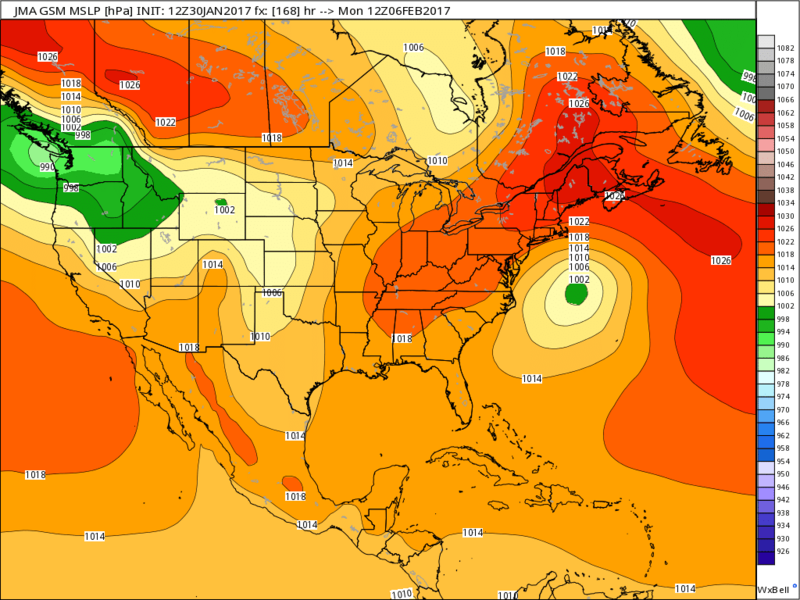 The 18Z GFS, however has the northern part of the trough overpowering the southern part, with the main storm passing well north of DC. Basically a brief burst of snow, no more than an inch or so, then a drying west wind.